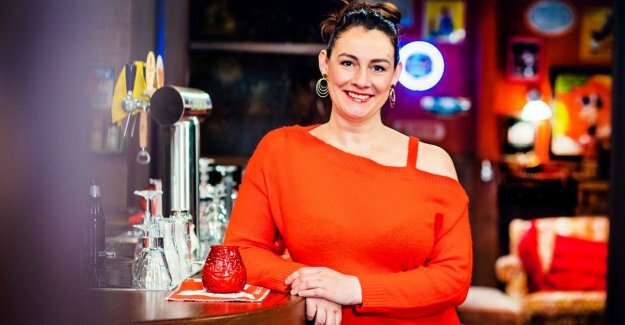 TV “I belong Here!”, thought Patsy Van der Meeren (42) when the set of ‘Family’ is entered, in which they from this week actually Gloria plays. Since she was eleven years ago disappeared from ‘Home’, we saw her rarely on tv and focused Patsy to motherhood and her pr job at Colruyt. “I am now more aware in life and not let me more just command,” says the actress this week determined in Day All. She gave several times already, best to be satisfied with her job at DATS 24, the stations of the Colruyt group, and seemed perfectly adapted to her new life, away from the tv cameras. It is therefore somewhat surprising that Patsy Van der Meeren, who many still remember as Marie from ‘Home’, tonight, pops up as a cleaning lady Gloria in ‘Family’. You is now working at DATS 24. What do you do there exactly? I sit on the pr service. Now that I have a role in ‘Family’, I switched to a part-time regime. The other half of my time I'm at Zodiac Studios in Lint, where the soap is included. Two jobs combine is great, but heavy. I must also provide care for Jef and Charlotte.